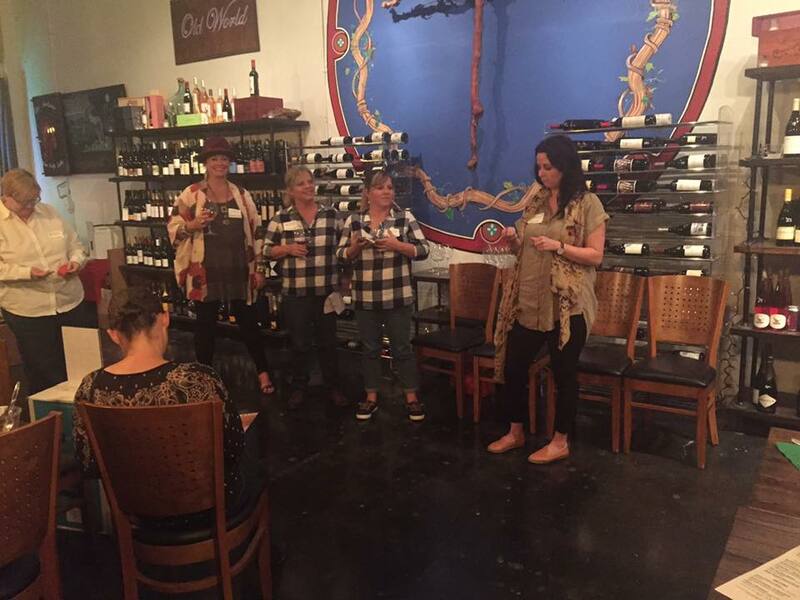 A typical Oak Cliff Women in Business meeting begins with wine and networking. Small local businesses are highlighted and participants are encouraged to promote each-other's business. The November networking event was held at the Wine Poste & Bar Anatomie with over 50 women in attendance. DALLAS—Despite the hectic holiday season Vicky Gouge wants other busy women business owners in Oak Cliff to take a break. 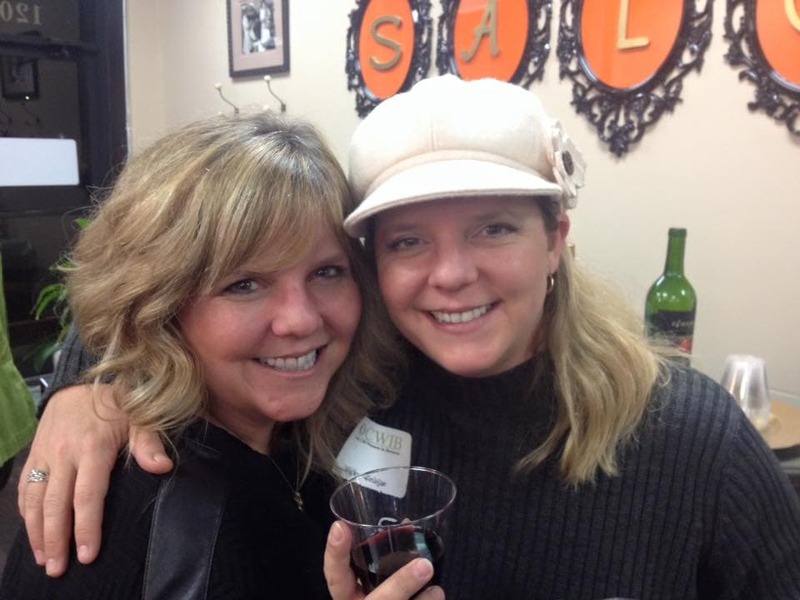 Gouge, owner of Full Moon Design Group is hosting a networking hour December 13, 6:00pm, at the Bishop Arts Theatre. Located at 215 south Tyler Street, the former TeCo Theatre recently changed its name to reflect the neighborhood. 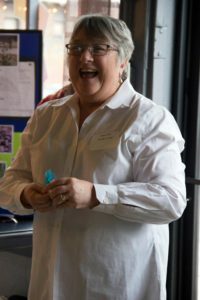 Vicky Gouge was a big part of the rebranding of the theatre, helping to create its new web site and design its new logo. Teresa Coleman Wash, founder and creative director of the theatre, is the hostess of this month’s OCWIB meeting. Last year Wash was recognized by the Dallas Morning News for her theatre’s productions and educational programs for teens. Every business woman in Oak Cliff and surrounding area is invited to attend the fun evening of conversation, networking, food and wine. The monthly event is open to the public and free. Co-hosts are Becky Moffett, of Qualigraphics, Elisabeth White, of Rediscover Your Closet and Cindy Hawkins, Managing Partner at Padgett Business Services. All three co-hosts are business women from Oak Cliff. Begun in September of 2010, Oak Cliff Women in Business started as a collaboration of Heidi Maggio, Karen Chappell and Linda Holt. The trio are good friends and successful business women. Each live and work in the Oak Cliff neighborhood. Their idea was to bring business women together once a month at different locations to network and socialize. The partnership has grown immensely and is now in well into its fifth year. Maggio and Chappell run “Kessler Simple Solutions,” a service which offers ways to simplify life through de-cluttering, rearranging or organizing. Coordinating with clients, the women set up personalized systems to enhance any space so clients save time and money, leading to less stressful, more meaningful lives. Linda Holt is a partner in Square Foot, Inc., a real estate development company. She’s an active volunteer in the Oak Cliff Society of Fine Arts and Board Member of the Methodist Hospital Women’s Guild. Twins Becky Gouge Moffett and Vicky Gouge lead the Oak Cliff Women in Business meetings held monthly throughout the Oak Cliff area. The group, founded in 2010, continues to grow as more women business owners emerge in the Oak Cliff area. The twin coaches rallied their Sailfish swim team members, parents and neighbors. In a coordinated effort they saved the pool through visits to the City Council and fundraisers that included a “swim-a-thon”. “The kids set a goal: one [dollar] to however many laps they want to swim,” Sailfish head coach Becky Moffett said. “They have up to two hours to do it. They cannot get out of the pool in those two hours, but they can take a break at the side of the pool for some water.” Together the team, parents and neighbors raised enough money to impress the Dallas City Council. The pool is now scheduled for demolition in the Fall of 2017. A total reconstruction will take place over the winter months. Swim team members expect to be in the new pool in Spring 2018. This is a prime example of what business women can do when they join forces. The monthly meetings rotate to different sites, an easy way to encourage members to visit each-other’s businesses. Irene Ellis of Kessler Travel introduces her business services at a recent networking event. Yearly Methodist Health System plays host to a Oak Cliff Women In Business meeting. While at the hospital, facility health experts encourage members to get mammogram exams. Meetings have also been held at Victor Hugo’s Casual Dining & Bar, Salon on the Square located at 1203 Eldorado and JED’S GRILL at 1001 W Jefferson Blvd., to name a few. Complimentary lite Bites, wine and bottled water is typical fare at each meeting. There is a drawing at each OCWIB meeting. Business Owners can offer to bring a door prize in exchange for a short 30-second “live” commercial. Raffle Prize winners also get to explain their business to the group. To host a future Oak Cliff Women in Business Meeting contact Vicky Gouge at: gouge@fullmoondesigngroup.com. For more information see The Oak Cliff Women in Business Facebook page.